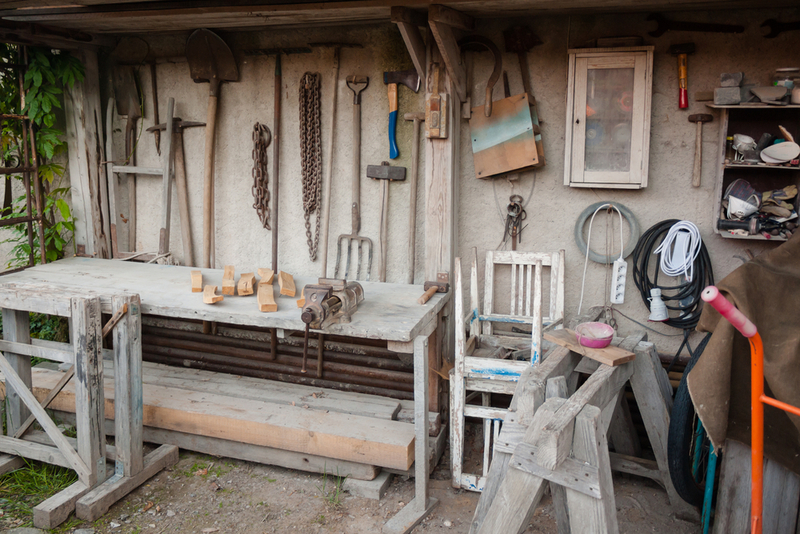 Garden sheds have been around for years, housing all sorts of unwanted junk from the house, seasons-old rusty garden tools, watering cans, lawnmowers, old toys and bikes to name a few. Often they are left in a state of disrepair in the corner of the garden. Why not inject some life into the bleak old garden shed? Get rid of unused items, and unleash a new lease of life into the area. Here’s how to create a refreshing brand new space. Traditional sheds are generally made from softwoods such as pine or spruce often made to a high standard, following the mantra that the higher cost, the higher quality of the material. When fresh they look brilliant in a corner of your garden hiding in amongst your plants and trees but it’s not long before they start to deteriorate needing a lot of attention. Wooden sheds need a lot of maintenance over the years, with the initial expense of getting a quality shed, plus the continual need to maintain it every change of season, a fresh lick of paint, the costs soon add up. Keeping the rain out of the shed is your main priority as rain running down the panels is the major reason why sheds begin to rot. If this maintenance is not kept up, the shed will become worn, with cracked and tatty-looking roof felt, holes and gaps appearing in the woodwork, reglazing plastic windows as the timber warps from the frame, the list is endless. It seems as though the initial investment was hardly worth all the hassle. In today’s outdoor shed market, many gardeners have chosen alternative shed options that require a little less maintenance and hassle. The main two alternative options available to buyers are metal and plastic sheds. There are pros and cons to both choices; however, the decision ultimately lies with you, depending on your garden and intentions for the shed. In terms of metal sheds, you could argue that they are the most durable choice, however, in terms of appearance, they aren’t the most appealing, as many gardeners are against the idea of having a big industrial steel shed in their backyards. 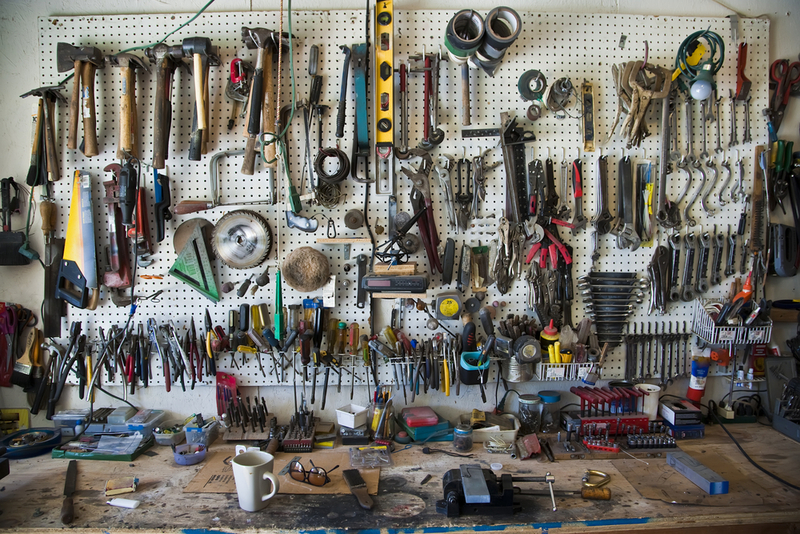 There also quite expensive when it comes to price and actually require specialist tools for minor repairs or modifications like putting a window in your shed. They also rust and are fairly flimsy due to the use of thin sheets. 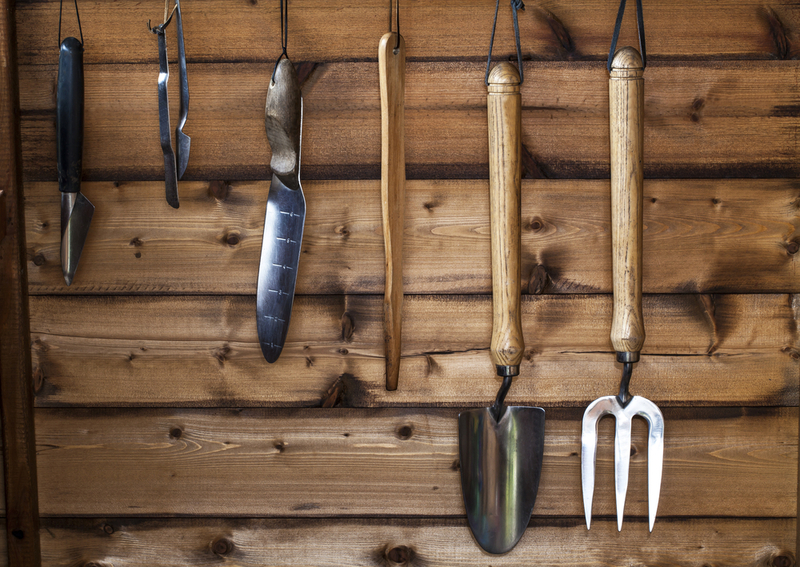 Gardeners are more swayed to the slick wooden hand-crafted designs that blend in with the natural elements. With recycled plastic wood sheds, you can have the best of both worlds, the similar style and finish of a wooden shed without the hassle of having to repair and maintain. Recycled plastic wood sheds are known to require minimal maintenance and are highly resistant to tough weather conditions. In terms of costs, plastic sheds are a wise investment and cut out any future maintenance costs. At Eco Plastic Wood we offer a bespoke service, where all measurements and styles can be tailored to your specifications. All our products are recycled out of plastic waste and transformed into beautiful pieces of garden furniture. 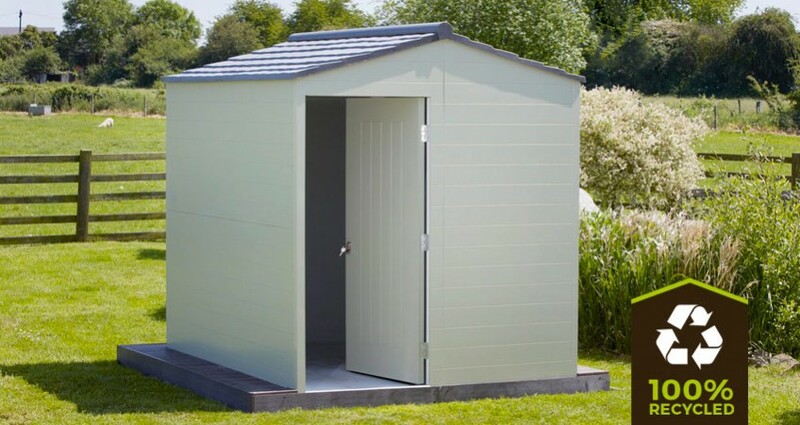 We have a range of plastic wood sheds, so why not browse through our product range to find out more. Focus on maintaining your gardens and not your sheds with Eco Plastic Wood.